For the first time in what seems like ages, I'm actually featuring some straight-forward metal. Not one of the myriad sub-genres or crossover strains, just good old metal. Rise is the debut EP from Newcastle five-piece Metal Moth and is the first of what is due to be a three-EP set. It was self-released by the band in July 2014. I've been told that they will appeal to fans of 3 Inches Of Blood and Bullet For My Valentine and as both bands appear in my CD collection, I'm eager to hear this. This EP gives off very strong first impressions. EP opener Moth To The Flame features heavy thrash riffs and melodic vocals. I can here that Bullet For My Valentine comparison in their music and they’re very good musicians. This strand of metal takes me back to when I first started listening to heavy bands and picking up copies of Metal Hammer for the first time. It’s not going to break boundaries, but it’s very listenable. There’s plenty of Southern-flavour in Meltdown. 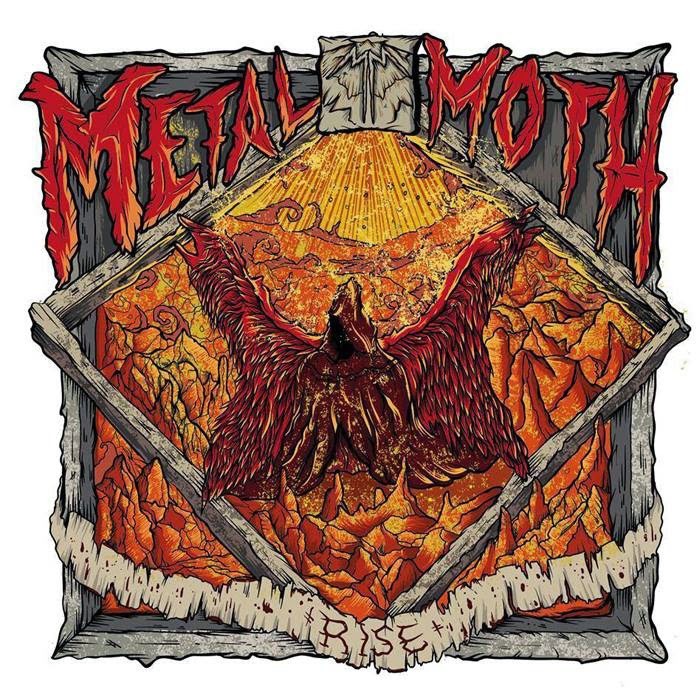 The sludgy, groovy guitar that kicks it off give Metal Moth a heavier edge. The song also has a subtle Alice In Chains influence hidden within it. They take the same direction with One More Time. They condense that heaviness into a more urgent slab of anthems metal and throw in a couple of solid solo’s too. Twin-guitar harmonies at the start of closing track Metal Maniac tell you all you know. This song has plenty of rock n roll swagger and ends Rise on a high. Metal Moth put up four classy metal songs that show that good things are coming from them. Can’t wait to hear what they do next.